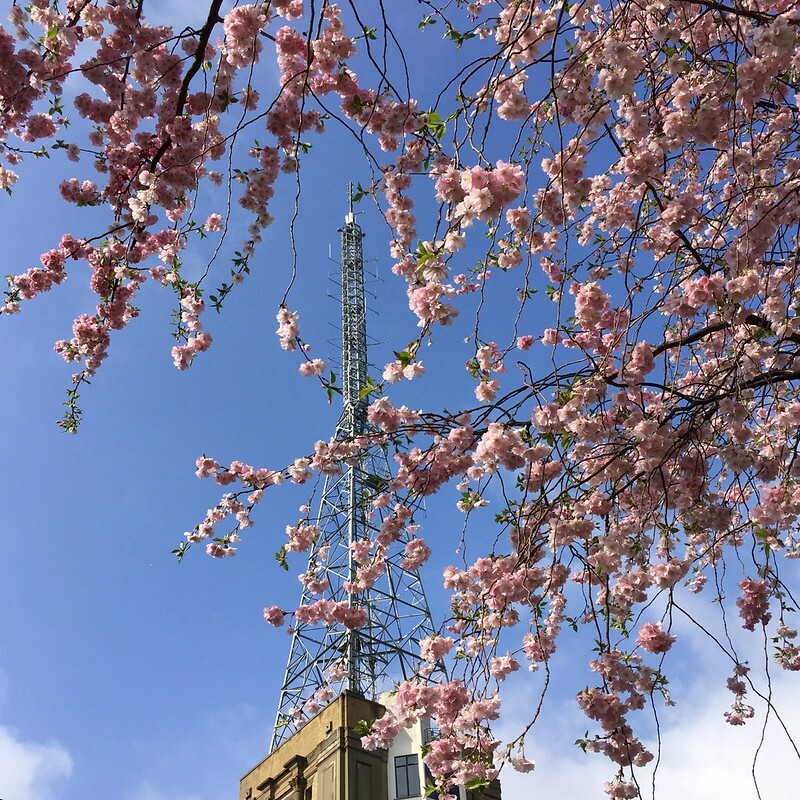 Its been so rainy recently I was afraid I would miss out on the Alexandra Palace cherry blossom which flowered over the last (wet) weekend. But not to worry – I caught it in the brief sunshine yesterday and you can too if you hurry. At the moment it’s in full flower and just tipping over past its peak. There are little green leaves just starting to appear which signals that the blossom is over. But it will still be worth seeing for a few days yet – hopefully lasting until the sunny weekend we are promised. 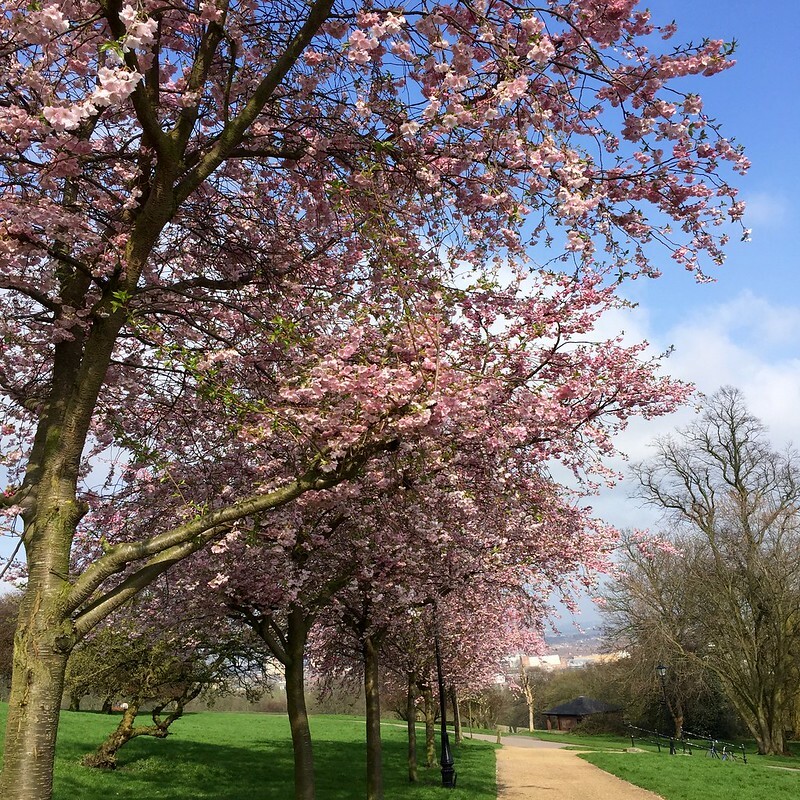 The Alexandra Palace cherry blossom flowers relatively early, generally in the first week of April in an average year. 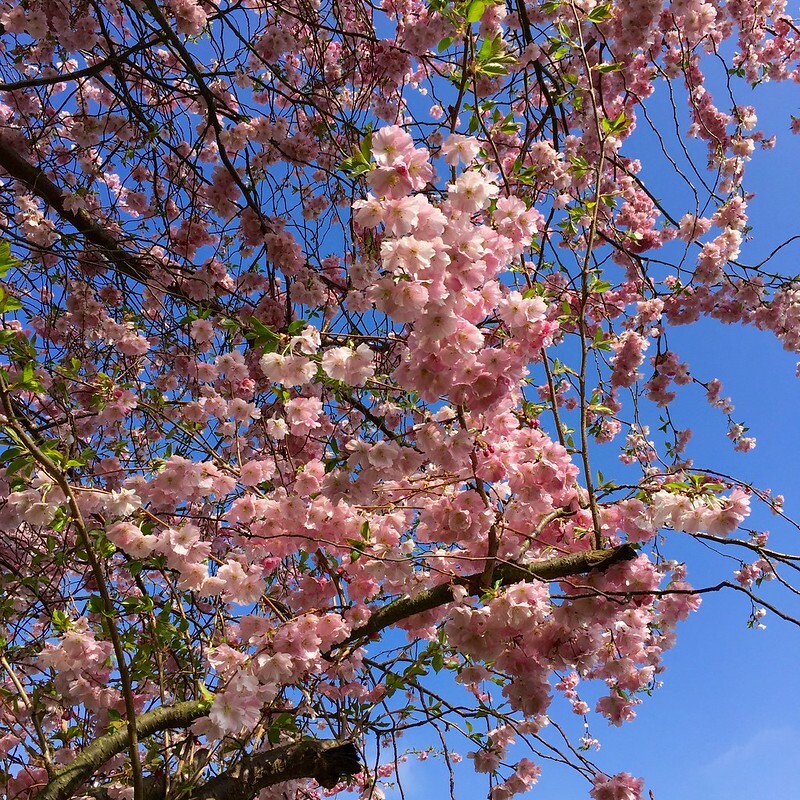 But once it’s gone there is still plenty of cherry blossom to see elsewhere as the season reaches its height in mid to late April. 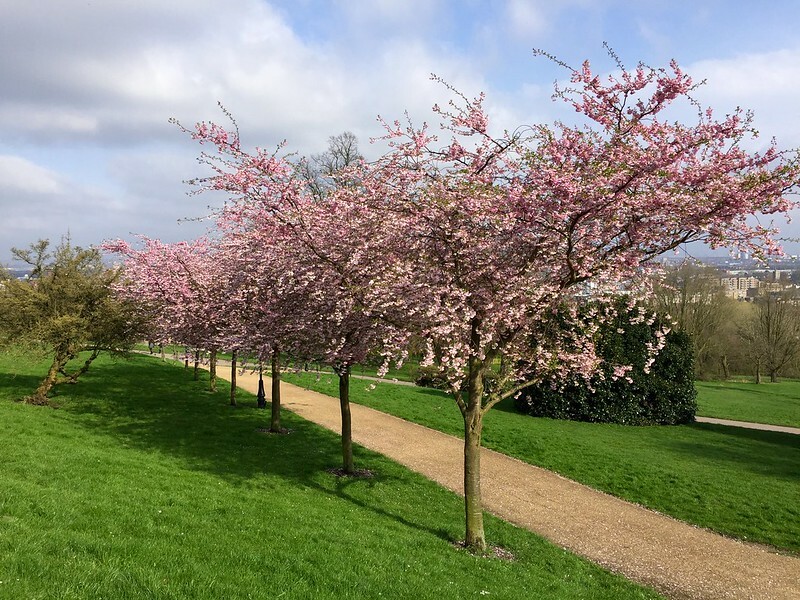 Check out my London Cherry Blossom Top Five Guide for places to go! 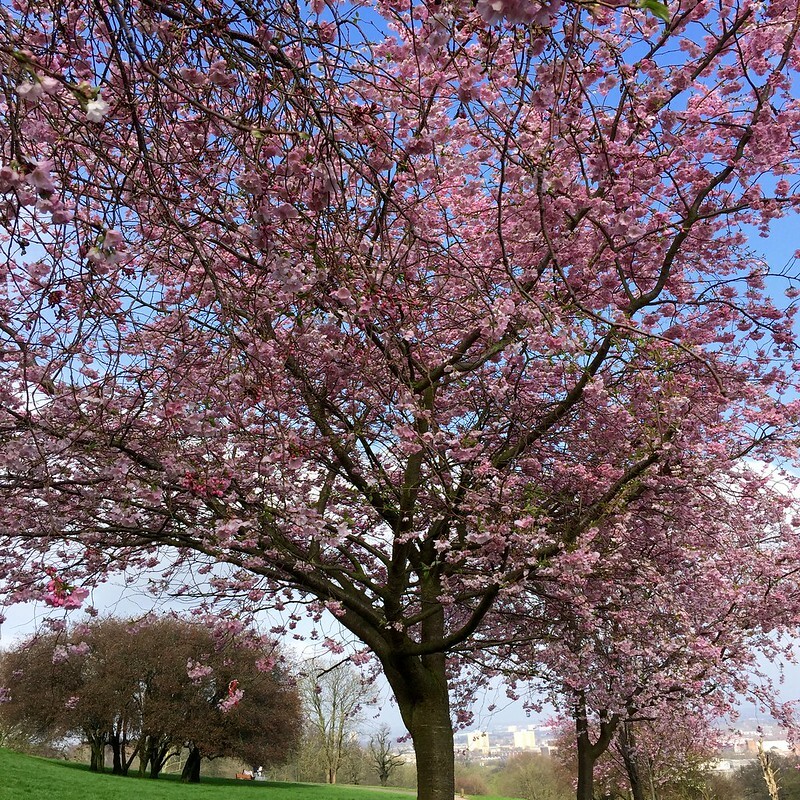 This entry was posted in Cherry Blossom and tagged Alexandra Palace, flowers, gardens, London, nature, plants by Fran. Bookmark the permalink. Our best cherry blossoms we found eastertime outside Greenwich town hall. Now the park cherry blossoms will no doubt be ravishing again. 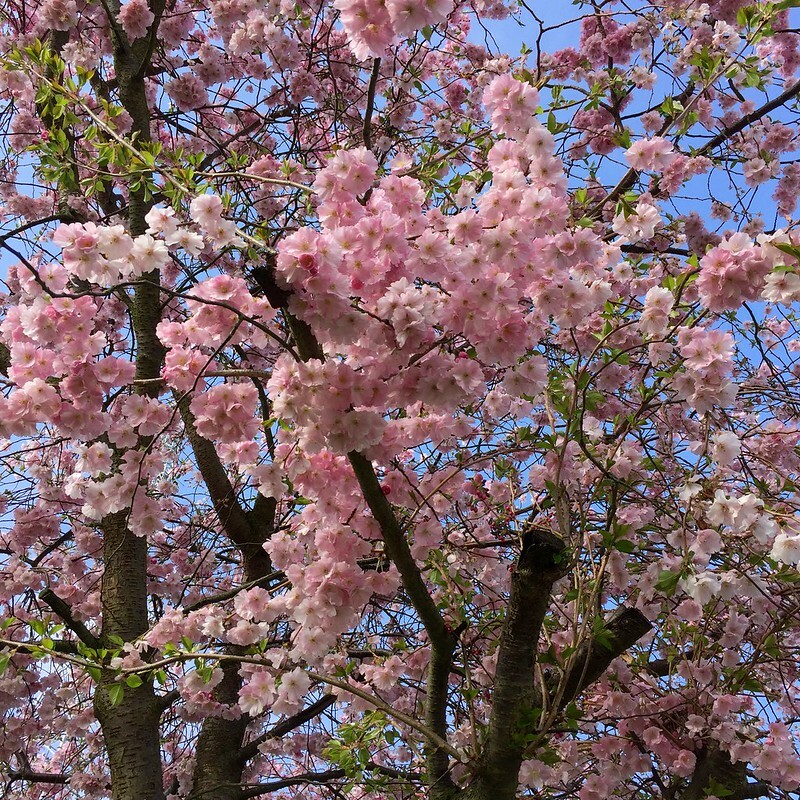 Yes, cherry blossom season is lovely!